Provided you need to edit an Invoice which you have already completed and tagged as Invoiced in JGID, for example if you need to amend the quantity numbers or the sale price of an item or service, what you need to do first is edit the particular position into the Job panel and then return to the invoice itself that needs to be revised. 1. 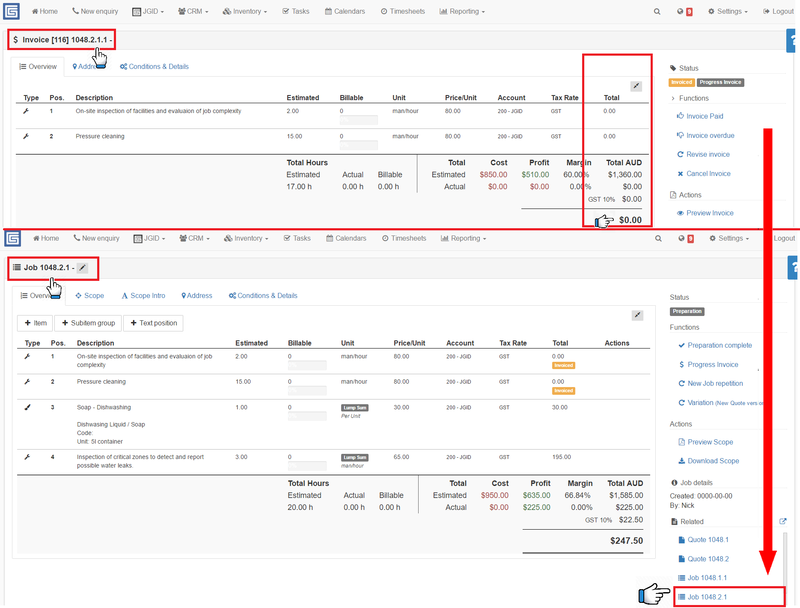 If you are reviewing the invoice which you need to edit, scroll down into the Command menu to the “Related” section and find the exact job number matching the index number of the Invoice to be revised! N.B. Bear in mind that if you have scheduled repetitions for a Job, then they will have their unique, but still quite similar index numbers, because when a repetition is created, all of these job instances originate from one and the same Opportunity, thus having same prefix, but different suffix numbers. You have identical invoice numbers, yet they are a bit different, because they refer to two different jobs, made out of two different quote versions – 1058.1 and 1058.2. The common element for all of the entries displayed in the section is the unique 4 digit index tag – 1058, which is the number of the Opportunity first created. 2. Locate the exact Job number, matching your invoice reference number and click on it. 3. Into the Job, click on the position or positions line you want to edit and open the edit panel. Correct the numbers and/or the Job description and confirm by clicking save. Notice – the amount due , turned from $0.00 to $160.00 ($176.00 with GST), after changing the type of charge from Do&Charge to Lump sum, meaning that there is a fixed payment rate for this service, no matter how many hours it may take to complete the job. (Ref. to “Types of Charge in JGID” article). 4. Now go to the Invoice you wanted to edit. Next, click on Revise invoice and confirm the performance of the action. 5. 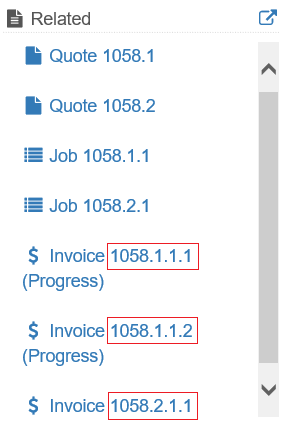 JGID creates a new Invoice version, with a new index number. 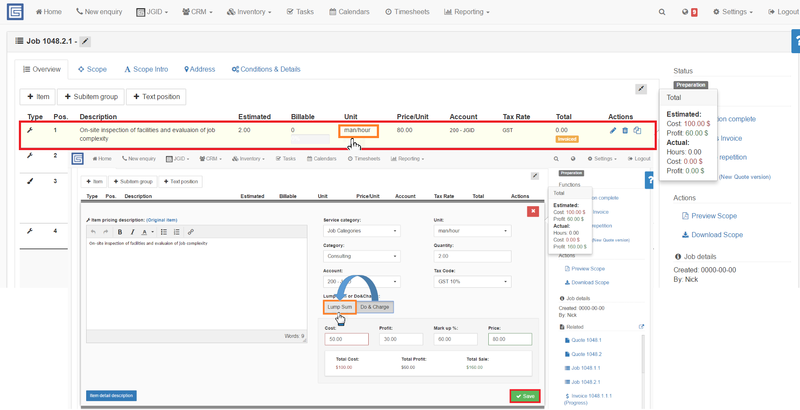 Now that the change is correctly implemented you can proceed with the completion of the invoice and the subsequent actions, such as saving to Dropbox and sending to the Clinent.